Following up on a military-inspired capsule, Japanese designer Taka Hayashi and Vans team up for another round to release the TH Style 138 LX Animal pack. 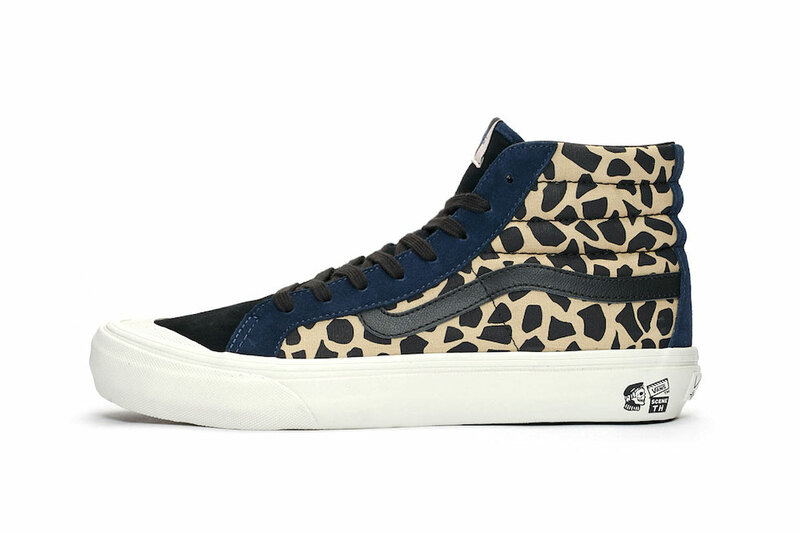 The wildlife-inspired release offers the Style 138 LX model (similar to the Vans Sk8-Hi) in two bold colorways of zebra print/brown and cheetah print/blue. Both pairs feature an all-over print canvas upper, leather branding stripes and suede panels at the lace trim and heel counter. The collaborative models are complete with a white vulcanized rubber cupsole sporting special graphics and co-branding at the heel. The Taka Hayashi x Vans TH Style 138 LX Animal pack will release on November 24 for a retail price of $120 USD per pair at Sneakersnstuff and select Vans retailers. For more animal print sneakers, check out the Nike Air Max 97 in red leather and leopard. Fill with kits, trench coats, and hoodies. To celebrate the project’s 13th anniversary. Set to arrive this weekend. In his hometown of North Carolina.